"This Model Created and Made Entirely by Lucien Schmitt" The monogram LS in a circle is stamped below the tailpin and inside the pegbox. 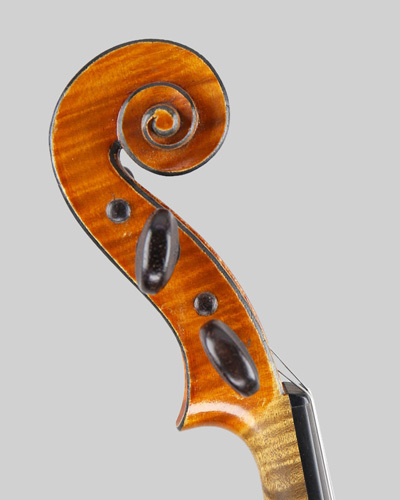 A beautiful violin by Lucien Schmitt a Franco Swiss luthier. 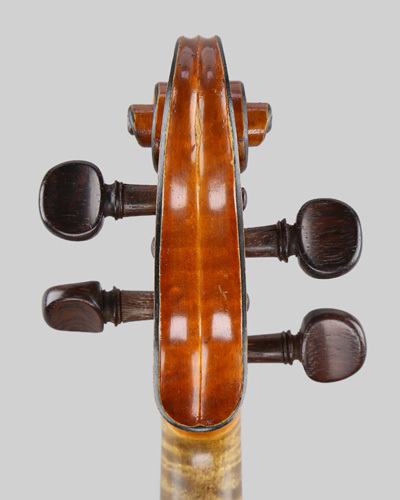 He was a popular luthier born in Saint-Julien-en-Genevois, Switzerland in 1892. He won first prize at the Geneva Conservatoire as a performer and then moved to Mirecourt, France where he studied under Mougenot, Paul Lorange in Lyon and Caressa & Français in Paris. He set up his own atelier in Grenoble in 1922.This is a beautiful example of his work which incorporates all of his best skills, choice of woods, quality of workmanship and his superb plum red varnish. The one piece back length is: 14.1/16 inches, (35.6 cm). No repairs just a few miniscule varnish marks. The fittings are in rosewood, the violin has just been set up with Obligato strings and is supplied in a new lightweight case. 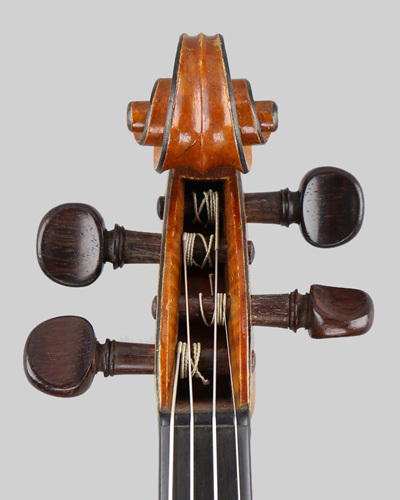 A violin with a delightful sound, a sweet treble, deep bass and a full range of expression. Highly recommended!